More and more people are discovering the wisdom of storing food as a hedge against inflation, unemployment, natural disasters, and long-term bad weather. 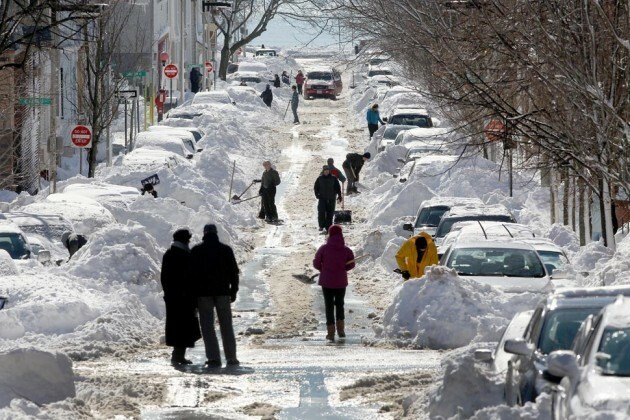 For instance, I bet the folks back East are glad for any food they have stashed away, since traveling through all that snow on those dangerous roads to the grocery store is the last thing they want to do. If you're new to the food storage idea, the basic gist is this: Store water and extras of the food you and your family eats most and likes best. "Store what you eat and eat what you store" is the motto. That's the first layer of food storage. The second layer is to add in some bulk foods-sugar or other sweetener (we store honey at our house), fats for cooking and baking, powdered or instant milk, beans and legumes (peanut butter is on our list for sure), grains, and flour. We've followed this plan for many years and several times our food storage came to the rescue-a long unemployment bout found us needing to use our grocery money to pay some bills. 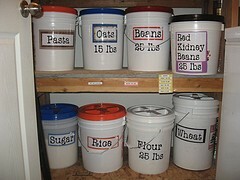 Thank goodness for food storage! I've become such a convert to food storage that I now even give it as gifts. A 10 pound bag of sugar, a container of coconut oil, and that honkin' big bag of chocolate chips from Costco make a nice wedding shower present when combined in a nice big basket. One year I gave all the kids 25 pounds of flour for Christmas. Since they were raised in a home dependent on food storage, they understood my intent and at least faked appreciation. And it's this 25 pound bag of flour that I'd like to focus on now. Besides baking all my cakes, cookies, muffins, biscuits, bread, rolls, pies, etc. 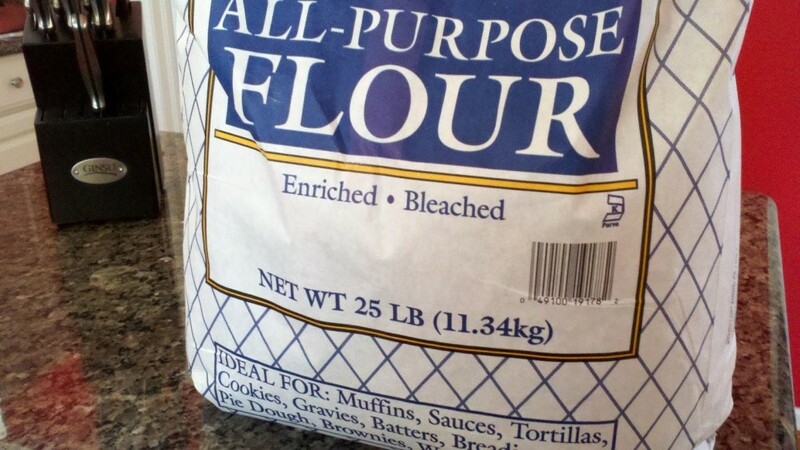 from scratch, I use lots of flour for making my own baking mixes-waffle/pancake mix, cookie mix, roll mix, and biscuit mix. The end product is still from scratch, but you have all the convenience minus all the preservatives, additives, chemicals, and other mystery ingredients always found in store-bought stuff. 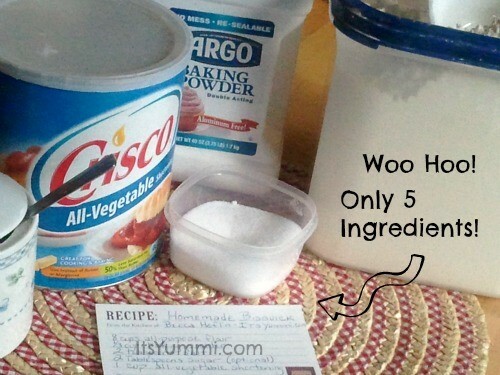 Take homemade biscuit mix, for example. It's so versatile. Like the popular Bisquick, your DIY biscuit mix can be used for dozens of recipes, not just pancakes. Biscuits, muffins, desserts, and main dishes such as quiche-like pies are just a few of the possibilities. Most baking mixes call for what you already have in your cupboards or pantry-there's nothing exotic going on with them. So forget about taking a trip to the grocery store; resort to your own homemade mixes and save some time, money, gas, and inconvenience! I could go on and on about the benefits of having your own baking mixes on hand, but you get the point. So with all this said, here's one of my very favorite and most versatile baking mixes. It's so useful, we call it the Master Mix. I use it for biscuits (bye-bye Bisquick), pancakes and waffles, cookies, and "Impossible Pies." Once you have this mix made up, you can find oodles of recipes for using it through your Cook'n 11 software. OR, you could cut the recipes off your almost empty Bisquick box and tape them to your Master Baking Mix container! All this said, if you don't have extra flour in your pantry or cupboards, plan to get some soon. It can wear so many hats! Stir baking powder, non-fat dry milk, and salt into the flour. Cut fat into flour mixture until all particles of shortening are thoroughly coated and the mixture resembles coarse cornmeal. 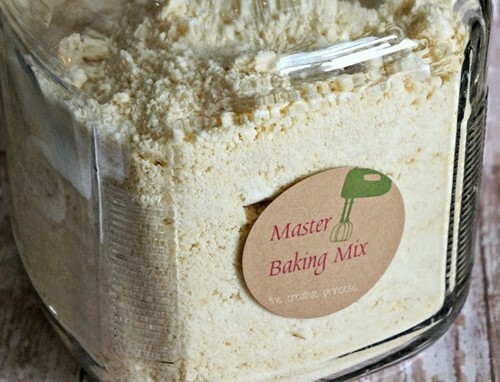 This can be done with a food processor, blender, electric mixer, pastry cutter, whisk, or fork.